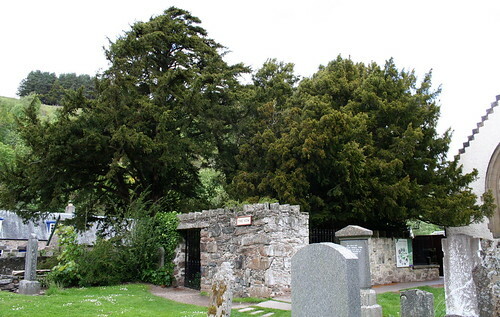 Fortingall Yew, originally uploaded by Caro's Lines. This Yew tree in Scotland is believed to be around 5000 years old. It is not only the oldest tree but also the oldest living thing in Europe. It stands now behind a protective wall in the cemetary of a church. 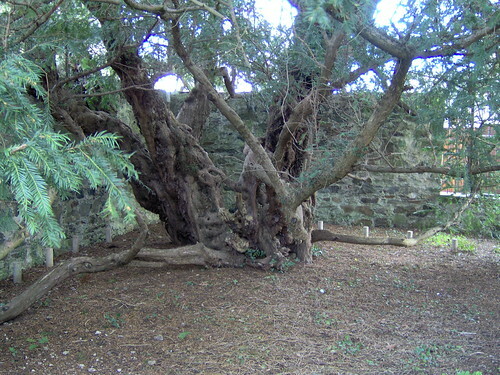 Yew Tree, originally uploaded by cyocum. processions passed through its midst. Eventually, this wall had to be built to stop the tree disappearing altogether." 7th century they decided to build their new church next to the anciant yew." 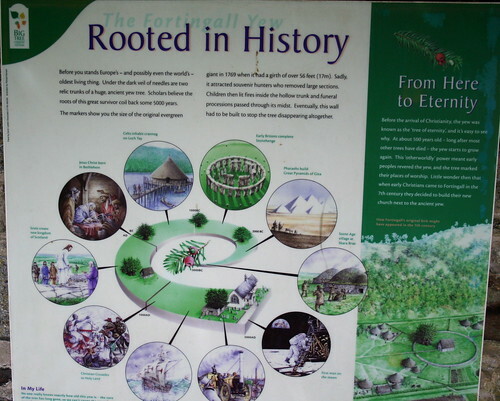 Fortingall Yew Information, originally uploaded by Caro's Lines.